(TibetanReview.net, Sep06, 2014) – South Africa has again denied visa for Tibet’s exiled spiritual leader, the Dalai Lama, who was otherwise to attend the 14th World Summit of Nobel Peace Laureates to be held in Cape Town from Oct 13 to 15. Media reports Sep 4 said the 1989 Noble Peace laureate’s representative in the country was conveyed the information by the government’s International Relations and Cooperation Department. The government’s decision might mean a cancellation of the annual summit itself. The AFP Sep 4 quoted Mrs Nangsa Choedon as saying the government “conveyed by phone to me they will not be able to grant the visa for the reason that it would disturb relations between China and South Africa.” As a result, she has added, “His Holiness has decided to cancel his trip to South Africa” for now. She is still awaiting a written communication of the decision, given conflicting media reports on the issue. This is the third time in a row since 2009 that South Africa has refused visa for the Dalai Lama. Some of the Nobel Peace laureates have said they will not attend it if the Tibetan spiritual leader is not permitted to enter the country, reported freepressjournal.in Sep 5. “I have heard that if the Dalai Lama is not allowed into the country, other invited guests have said they will not come,” Anglican Archbishop Desmond Tutu’s spokesman Roger Friedman was quoted as saying. 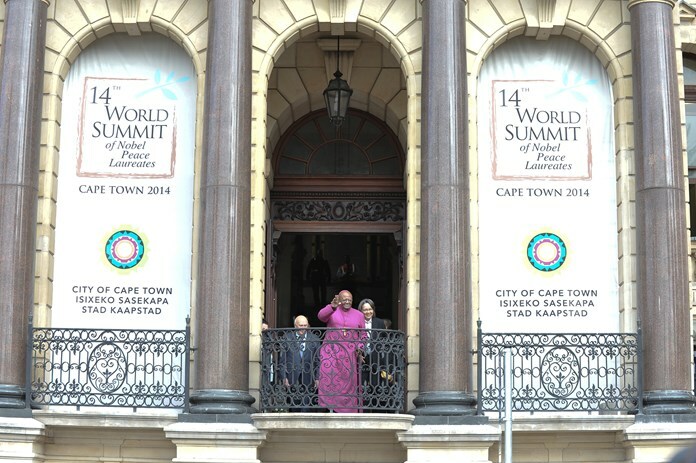 This is the first time the summit is being held in Cape Town, with the arrangements being made by a local organising committee formed by foundations representing four South African peace laureates —Tutu, Nelson Mandela, FW de Klerk and Albert Luthuli. In 2009, a peace conference in Johannesburg, arranged to highlight the World Cup in South Africa, was cancelled because the Dalai Lama was refused a visa. In 2011, the Dalai Lama cancelled his visit to attend Tutu’s 80th birthday virtually on the eve of his departure, as the government kept refusing to give a response to his visa application. Truthdive.com Sep 5, however, cited some reports as saying the visa was not denied, but under process. The South African foreign ministry confirmed that its High Commission in New Delhi had received the visa application of Dalai Lama but denied it had been rejected, saying it was going on through “normal due process”. The report cited a spokesperson as saying the related authorities would communicate with the applicant thereafter. Political leaders in South Africa have questioned the government’s reported denial of visa. “Government must come clean and say why it does not want the Dalai Lama to come to South Africa. Hiding behind bureaucracy just does not cut it anymore,” timeslive.co.za Sep 4 quoted United Democratic Movement secretary general Bongani Msomi as saying. The report also said Cape Town mayor Patricia de Lille was waiting for an answer from government after writing to officials earlier in the week. “We wish to make it very clear that neither the City of Cape Town as the host city of the summit, nor the organising committee of the summit, have received any official confirmation about the status of the Dalai Lama’s visa application,” De Lille was quoted as saying. China is South Africa’s main trading partner and criticizes any government that grants him visa or whose officials meet with him. A commentary posted on the globalpost.com website Sep 4 saw South Africa’s decision as a part of a recent global phenomenon. While noting that the exile Tibetan spiritual leader remains globally popular, governments have increasingly been shying away from him for fear of offending a rising China.